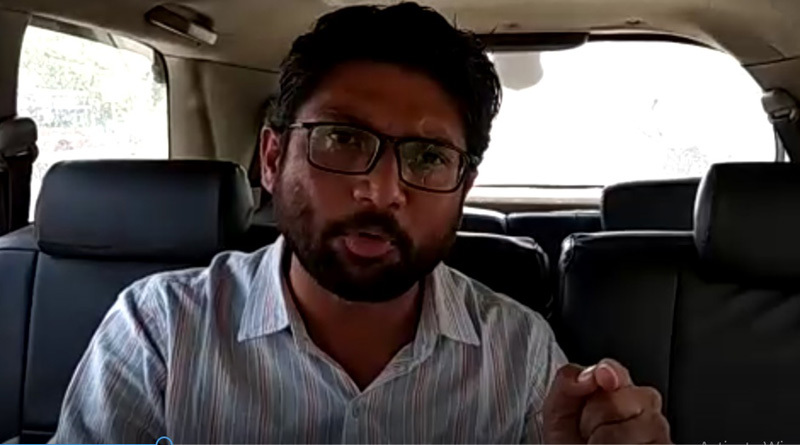 Jaipur: Jignesh Mevani, Member of Legislative Assembly from Vadgam, who spearheaded the Dalit movement in Gujarat, has been barred from stepping out of the Jaipur airport. The independent MLA’s movement has been restricted in Jaipur. He was supposed to attend a function at Nagaur to mark the 127th birth anniversary of Dr B R Ambedkar, the man who drafted the Indian Constitution. The legislator, made a video and circulated to raise an alarm about Rajasthan’s Chief Minister Vasundhara Raje’s decision to not let him enter Rajasthan. Mevani has been a vocal critique of Narendra Modi and BJP’s policies. PUCL, an active social organization in Rajasthan has condemned the detention of Mevani at Jaipur and not letting him participate in Dalit icon, Ambedkar’s function.